This is a page within the www.staffshomeguard.co.uk website. 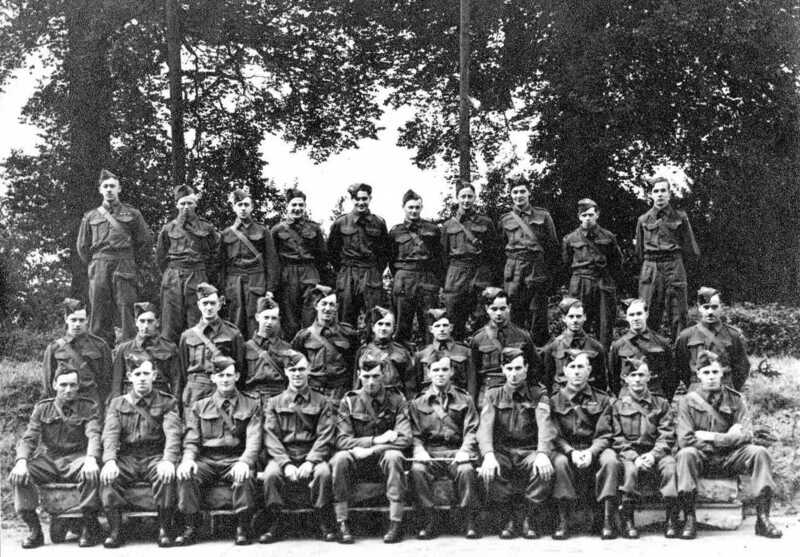 The following photograph shows the Creech St. Michael Home Guard platoon in 1941. We are indebted to Ron Welch, the photograph's owner and pictured right, and David Tacchi, Webmaster of Somerset Pillboxes for making it available for publication in this website. The picture also appears in the Somerset Pillboxes site which provides fascinating information about the Somerset defensive lines. It will be of interest not only to those who know that part of the West Country but also to anyone wishing to learn more about the type of defensive structures built in many parts of the U.K. at that time. (To visit it, click the link above - you will leave this site). Pollard, Bill Hunt, Marc Marchant, Harold Wyatt, Not Known, Cornwall, Bob Wheadon, Triss Foxwell, Norman Drewe, Ron Welch. Cornwall, Mitchell, Bill Cruys, Fred Hunt, George Sandford, Hooper, Lance Coombes, Jack Taylor, Ivor Brookes, Harold Thomas, Jim Wadham. Jack Sweeting, Rub Bauer, Perce Brookes, Cubby Bishop, Sgt.Tacker Sweeting, Lieut. Fisher, Sgt. Ron Smith, Len Mitchell, Digger Wyatt, Brian Wakely. 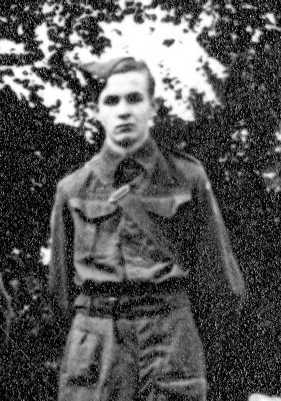 Mr. Welch recalls that his Home Guard service was almost unique in one respect at least: he and his comrades were trained in unarmed combat by....a German prisoner-of-war. This soldier, captured perhaps in North Africa, was well liked and accepted in the area, sharing many a glass of cider with the local men. He worked during the week on a nearby farm, returning at weekends to his camp. His motives in helping the local Home Guard unit - the enemy - are unclear: perhaps it was his way of thanking them for his acceptance within their community. But one must assume that he kept this activity well and truly under his army cap when back amongst his fellow prisoners.